Please keep an eye out for more special dinners in the future. Join us for an elegant evening celebrating the season’s harvest, freshly picked from Blithewold’s vegetable garden. 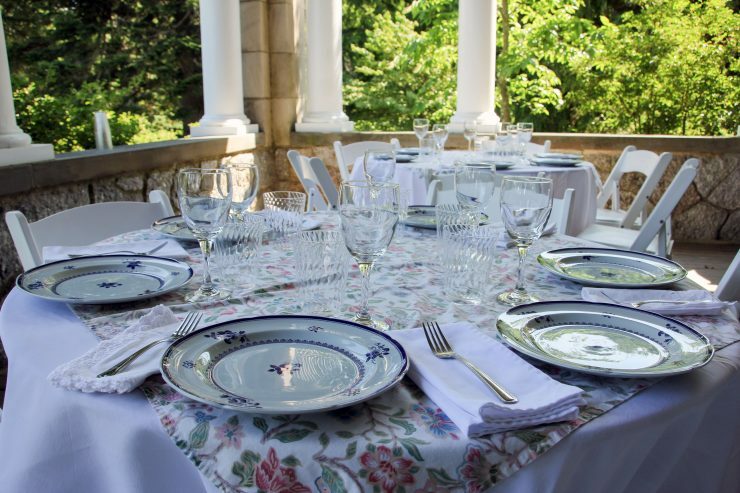 Guests will dine family style on the terrace, enjoying sweeping views of the Great Lawn, Bristol Harbor and beyond. Dinner will be accompanied by acoustic guitar and paired wines. Dinner and drinks included. This is a prix-fixe menu. This diner is limited to 25 people.